In the life of Jesus we have the perfect model of humility and surrender of the self so that God may be glorified. Understand the roots of pride and the one possible means of redemption from it. Study the examples of the disciples and of Paul. Pastor Murray includes in his book a call for for church leaders to live humility in their personal lives. Andrew Murray was born in South Africa of Scottish extraction. He studied at the University of Aberdeen before becoming a pastor in the Dutch Reformed Church. His preaching and devotionals remain popular and influential to this day. 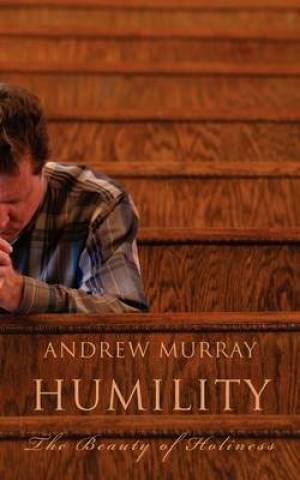 Humility: The Beauty of Holiness by Andrew Murray was published by Eremitical Press in August 2009 and is our 38124th best seller. The ISBN for Humility: The Beauty of Holiness is 9780978479985. Be the first to review Humility: The Beauty of Holiness! Got a question? No problem! Just click here to ask us about Humility: The Beauty of Holiness.